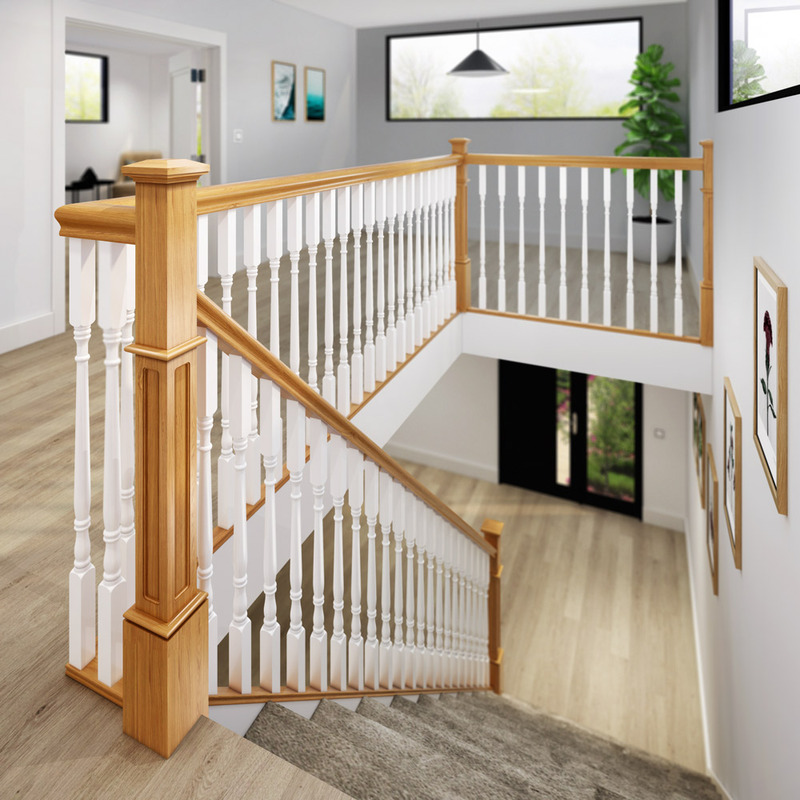 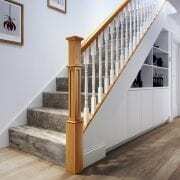 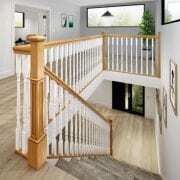 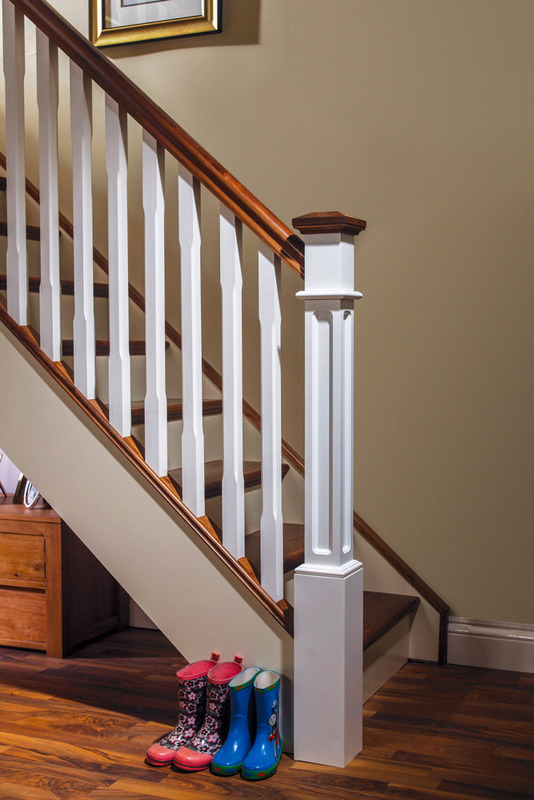 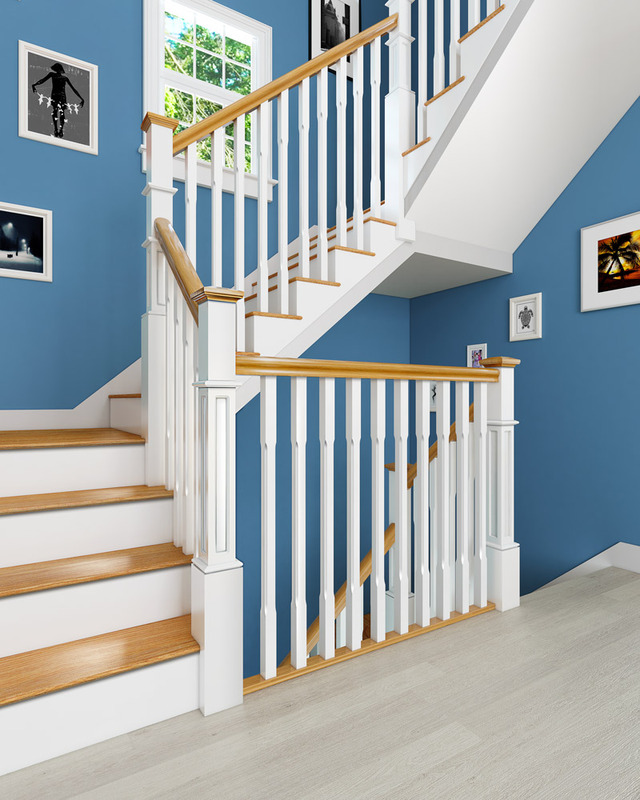 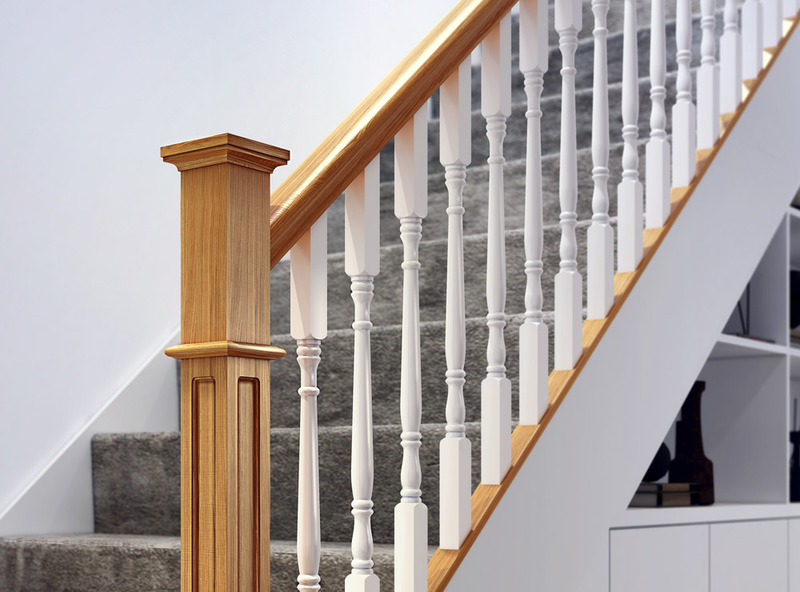 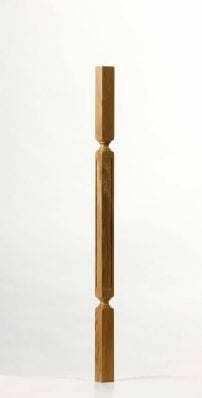 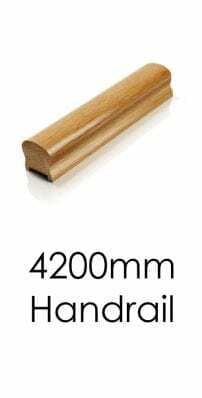 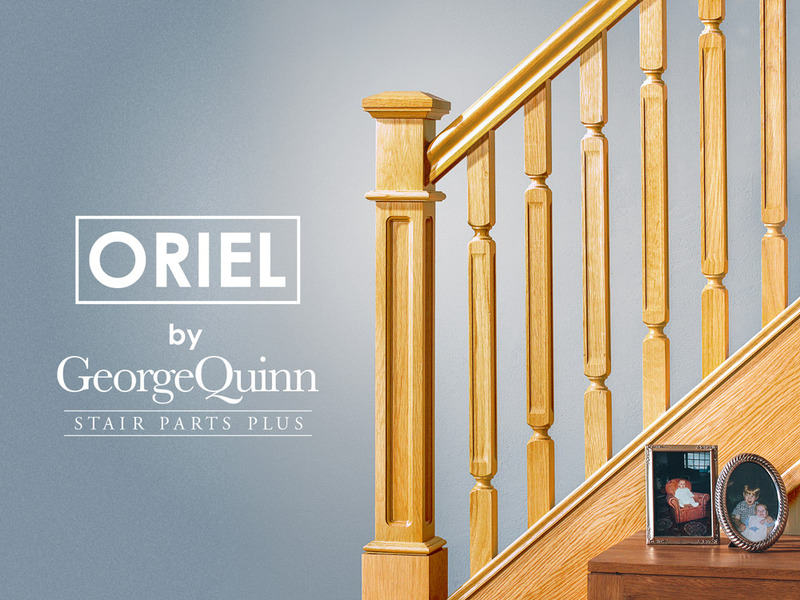 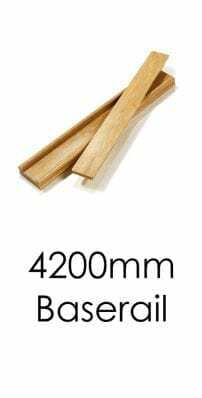 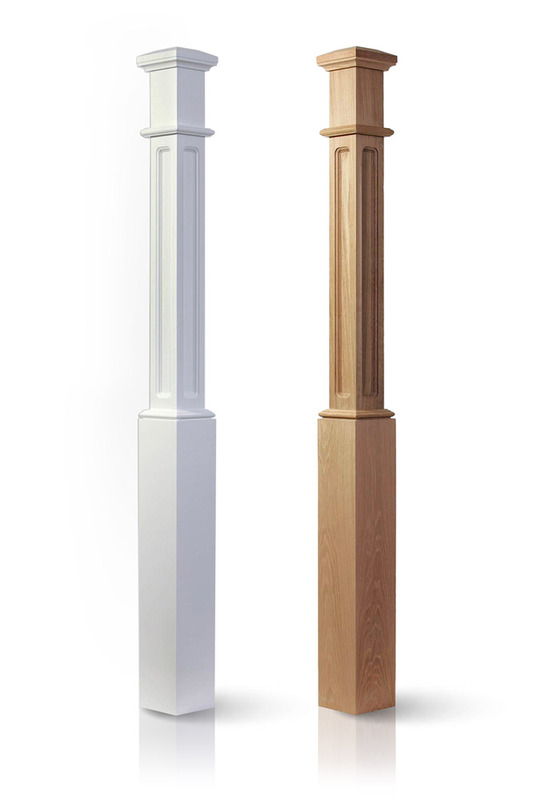 The 1525 x 127mm x 127mm Full Box Newel Post can be matched with any of our stair parts collections to complete your stairs. 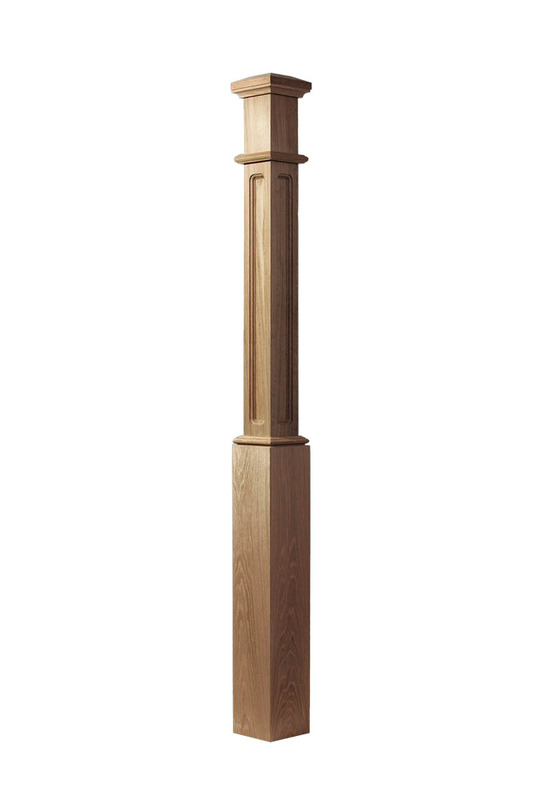 It has a 185 mm square at the top, a 670 mm rebated section, and a 670 mm base on end. 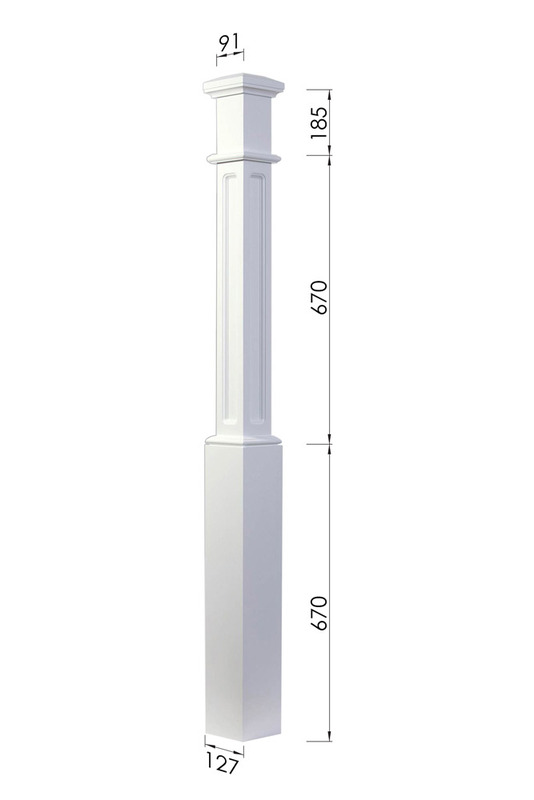 The top of the post is 91mm x 91mm and the base is 127mm x 127mm. 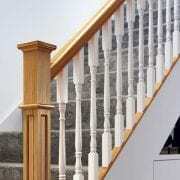 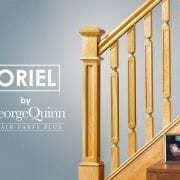 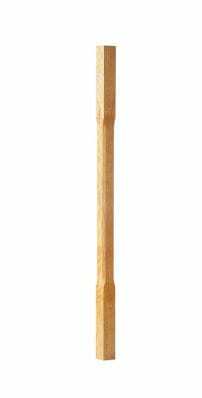 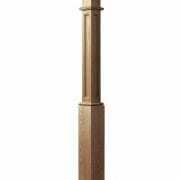 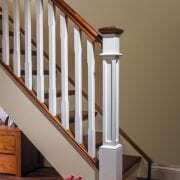 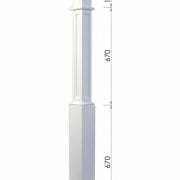 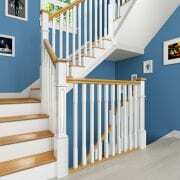 This Box Newel Post includes the Pyramid Newel Cap as shown in the images.